The July labor report follows a number of surveys outlining moderate hiring plans from employers throughout the U.S. US unemployment rate remained unchanged at 4.9 percent as employers added 255,000 jobs in July, according to the most recent U.S. Bureau of Labor Statistics report. The number of workers unemployed was essentially unchanged at 7.8 million. This report follows the addition of 287,000 jobs added in June. July’s job growth occurred in the following business sectors. The mining sector continued to lose jobs. • Employment in other major sectors, including construction, manufacturing, wholesale trade, and information technology showed little or no change over the month. The July labor report follows a number of surveys outlining moderate hiring plans from employers throughout the U.S. Per the latest Manpower Employment Outlook Survey, 23 percent of employers anticipate increasing staff levels during the third quarter. Hunt Scanlon Media reports that other studies on the labor market have been equally optimistic, no matter what else seems to be happening on the American political scene or with the UK’s Brexit vote to cut trading ties with the European Union. Fifty percent of employers plan to hire full time, permanent workers, on par with 49 percent last year, according to CareerBuilder’s 2016 mid-year job forecast. Another 29 percent of employers plan to hire part-time employees, on par with 28 percent last year; and 32 percent of employers plan to hire temporary or contract workers, down slightly from 34 percent last year. CareerBuilder’s study also found that information technology (68 percent), healthcare (65 percent), financial services (56 percent) and manufacturing (51 percent) are among industries expected to outperform the national average for full-time, permanent hiring in the back half of 2016. 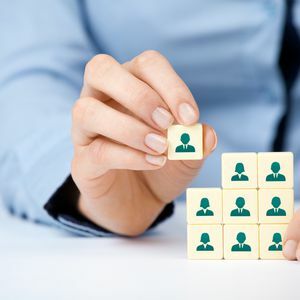 According to a semi-annual hiring survey by DHI Group, nearly two thirds (62 percent) of hiring managers intend to hire more professionals in the next six months. “Increased plans for near-term sales, investment and hiring indicates modest economic improvement,” said Doug Oberhelman, chairman and CEO of Caterpillar Inc., and chairman of Business Roundtable.